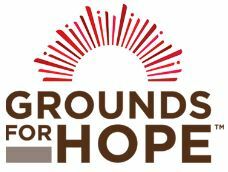 Crimson Cup is proud to be the roasting partner for a new line of “Grounds for Hope” coffees benefiting Cancer Support Community Central Ohio, which serves all people affected by cancer, as well as caregivers, family and friends. Each $8.99 bag of “Grounds for Hope” coffee generates a $3 donation for community-based, comprehensive services for Central Ohioans with cancer and their families. We encourage you to try our “Grounds for Hope” coffees. These first-quality organic beans are hand-roasted in small batches to deliver a consistently delicious cup of coffee. You’ll enjoy great coffee for a great cause – ensuring that no one ever has to face cancer alone.